I am a dollmaker. I love antique fabrics and hoard them. I collect old china doll heads without bodies and leather doll bodies without heads and never put them together. I have stacks of old photos of people I don't know. I have two smart and funny kids who complain that I hang plates on the wall instead of pictures. I have a great husband who travels with me and who I used to garden with but now don't because all I do is make dolls. Luckily he still likes me. So all in all somewhat normal ...depending , of course, on who you ask. Here is a little peek at what I am bringing to Remnants of the Past at the Alameda County Fairgrounds in Pleasanton CA ! Please join me for two wonderful holiday shows! .....of spookiy things going to Ghoultide Gathering ! Time again for the most wonderful Halloween show! It is truly one of the highlights of my year. and if you are not sure, just check out this video of last years show..I dont think you will be able to resist!! So excited about the dolls I've made! One week Until Remnants of the Past show! magical antiques and treasures,and myriad trinkets to enchant and delight! Just 28 days until Remnants of the Past Antique Show I will have a whole booth full of wonderful dolls and also ribbons and trims and antique bits and bobs. 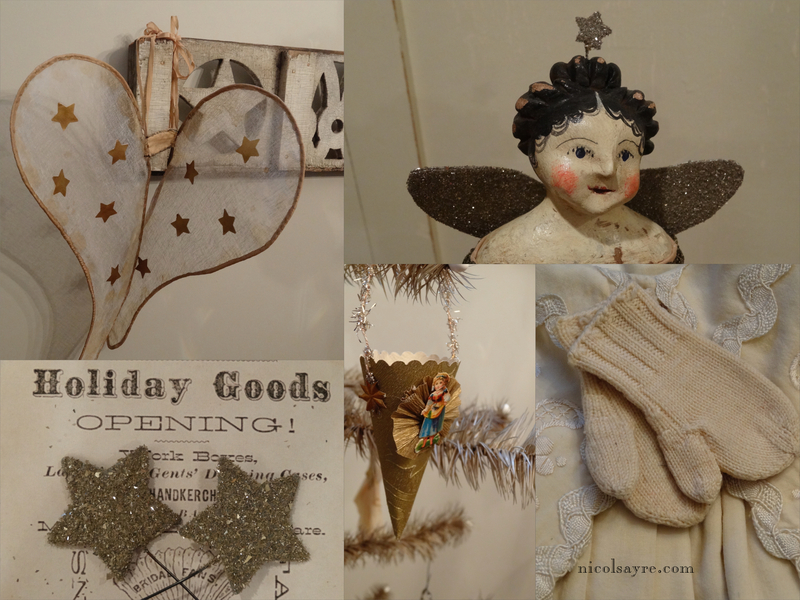 Today was a wonderful day at the flea market finding great treasures to adorn the dolls. Hope to see you there! Please let me know if you are coming and have any special requests. So Excited!! Today was a great day full of lots of wonderful bits and bobs and fripperies!